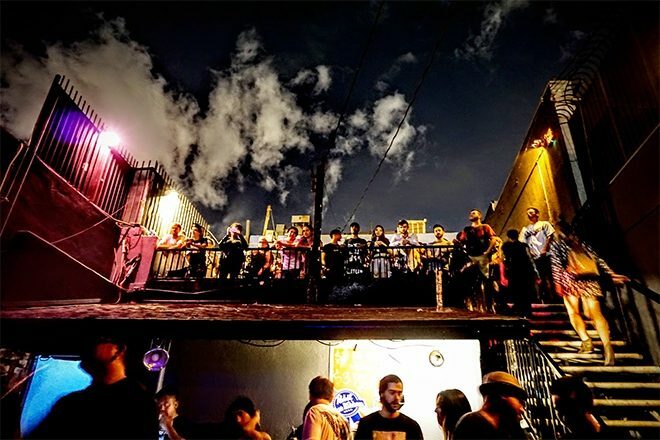 The iconic Los Angeles club night Low End Theory has shared the news that it will be closing its doors for good this August. The club night's founders Daddy Kev, DJ Nobody and D Styles have set up 10 final shows before shutting down their operation perminently. Low End Theory has run its weekly, beat-driven Wednesday outing at the show’s Lincoln Heights venue - The Airliner - since the party’s inception in 2006. During the early days, this smoked out, supportive and unassuming producers saloon was an essential melting-pot for some of the most prolific names in electronic music: including Flying Lotus, TOKiMONSTA, Nosaj Thing, Daedelus, Thundercat, Shlohmo and more. In an Instagram post, Low End Theory's core residents and founders explain that the factors affecting this final decision is a combination of "family obligations, work demands, life and the general consensus amongst the residents is that we have overstayed our welcome." With their final show planned for August 8, the post goes on to say: "Our greatest hope now is that the final ten weeks of Low End Theory can serve as a time for the beat community to set aside our differences, come together, and hopefully remember what made Low End Theory a special place to begin with: the music." While Low End Theory may be gone, LA's tight-knit beat scene community still remains strong. Learn more by reading about The Beat Scene 2.0. Read the full farewell post below.